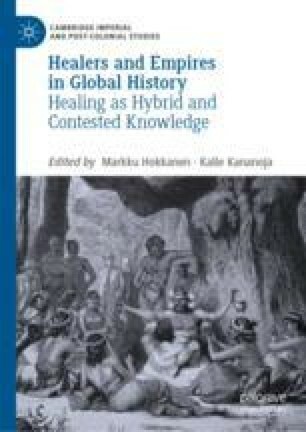 This chapter is a longue durée exploration (from the late eighteenth century to the 1960s) of selected healers and medicines in colonial contexts in a region that extended from today’s South Africa to Zambia and Malawi. Hokkanen focuses on healers’ agency and tactics against colonial attempts of control, appropriation, denigration and outlawing of their practices. Secrecy, mobility, professionalisation and redefinition of healers’ practice and public image were among the tactics employed by healers. Whilst colonial power exercised in courts, churches, policing and knowledge-production shaped regional healing, the medical culture retained its hybrid and pluralistic character, which was influenced by increasing movements, trade and cultural contacts across Southern Africa, the Atlantic and the Indian Ocean that were largely beyond imperial control.